Our de-stressing deep cleansing facial removes dull surface skin cells, stimulates circulation and de-clogs pores. The skin is hydrated and impurities are cleansed followed by a nourishing mask and light moisturizer and sunscreen. 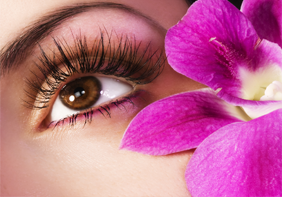 We have eye lash services available for individual lashes or whole strip. We have a wide variety of lashes available to fit your needs. 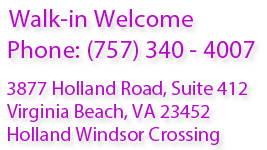 Walk-ins are welcome, stop by our shop today or call us (757) 340-4007.